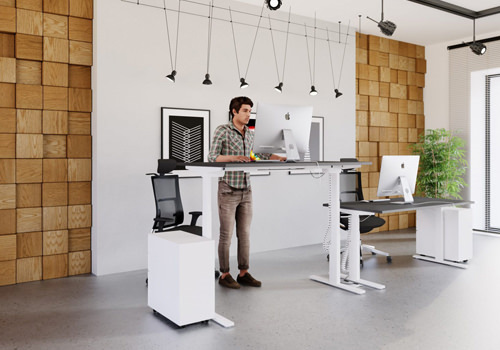 Working all day in the office can affect your posture and your overall health. 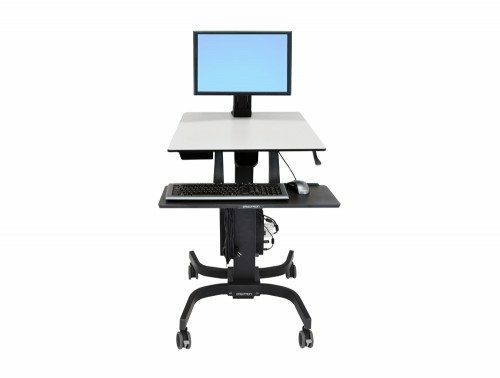 Height-adjustable office desks help you achieve a better posture and better health. 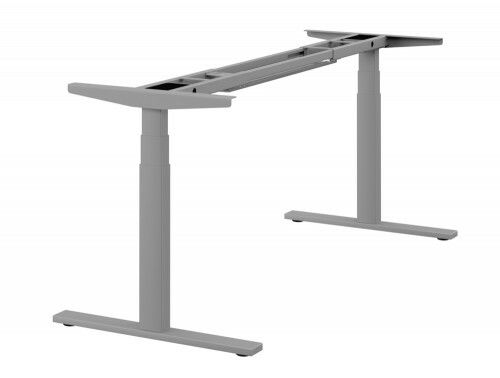 Many office desks are rigid, which can have an adverse effect on your posture. 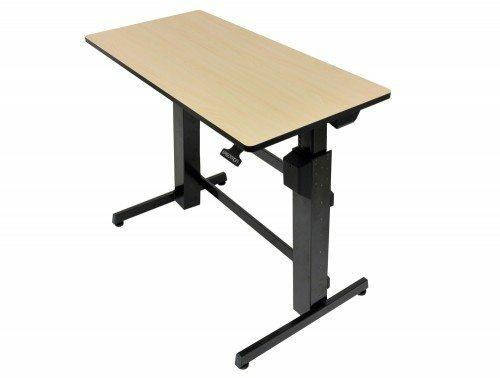 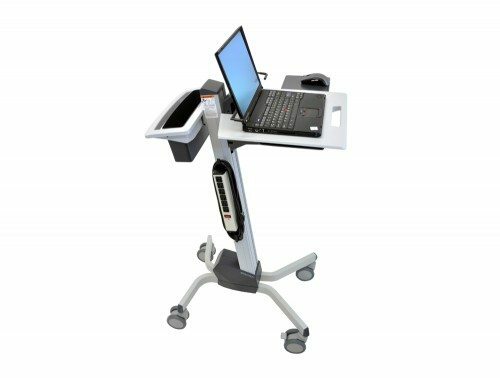 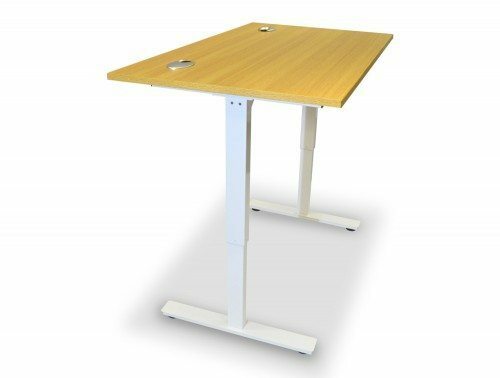 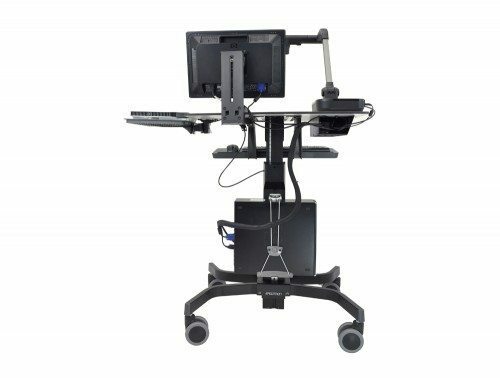 Our range of adjustable standing desks and workstations can be used for both sitting and standing. 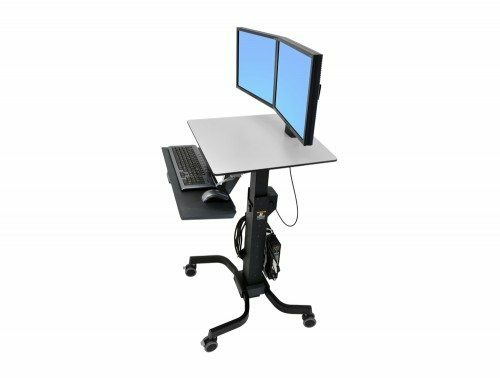 These ergonomic height-adjustable desks enable you to set your tabletop at the exact height that works for you, with maximum comfort and flexibility. 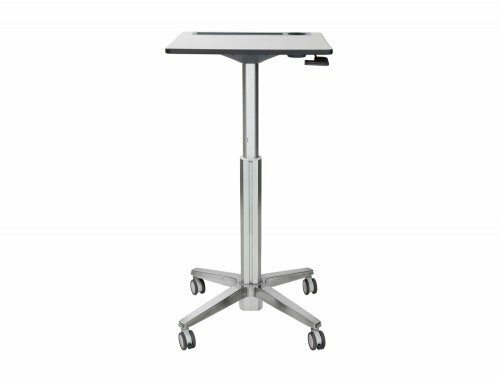 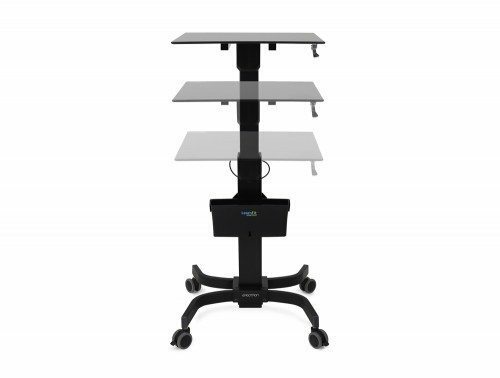 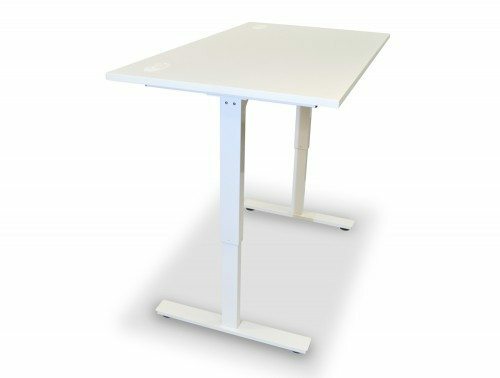 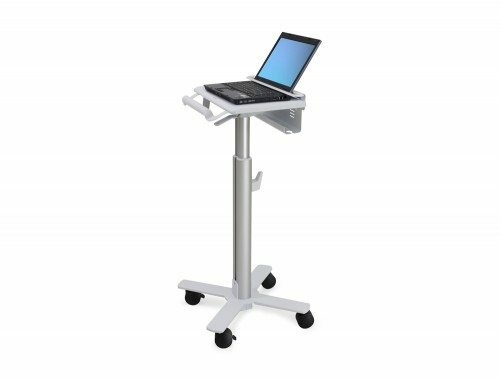 Providing your staff with adjustable tables also ensures their health and wellbeing is taken care of in the workplace. 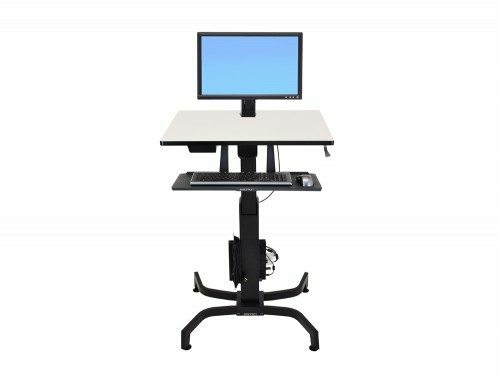 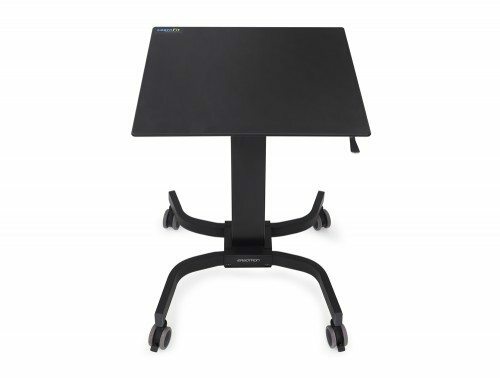 Adjustable desks reduce the strains that a stationary office job puts on your spine. 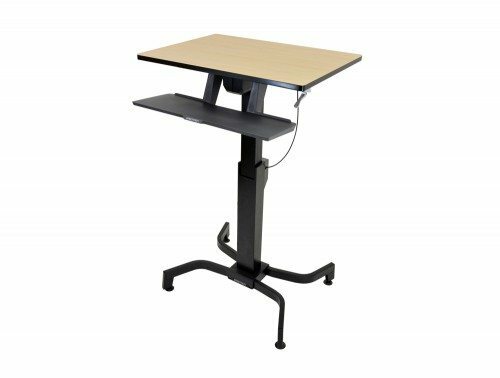 On the long-term, alternating between sitting and standing when working at a desk reduces the risks of health conditions associated with sitting down too long. 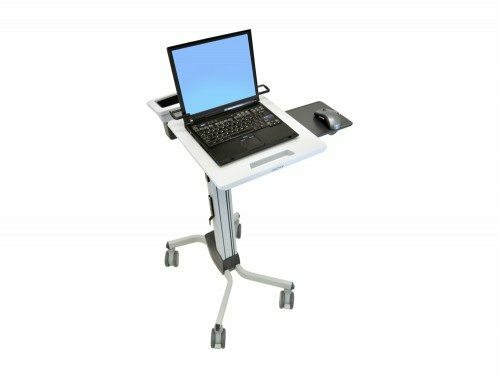 When using a sit-stand desk you should alternate sitting and standing every 30 minutes. 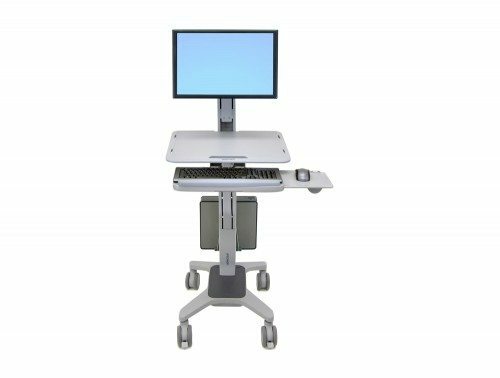 Besides inserting light exercise into your daily routine, this practice protects your spine from strain and pain. 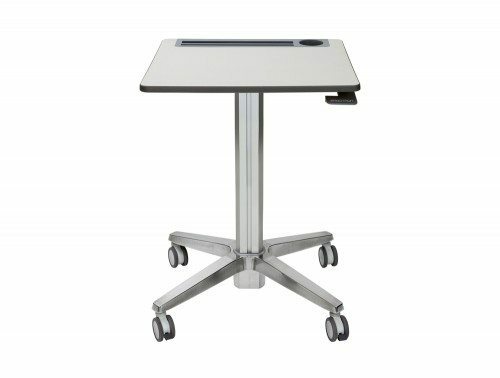 Our range of adjustable desks combines modern technology with a versatile design. 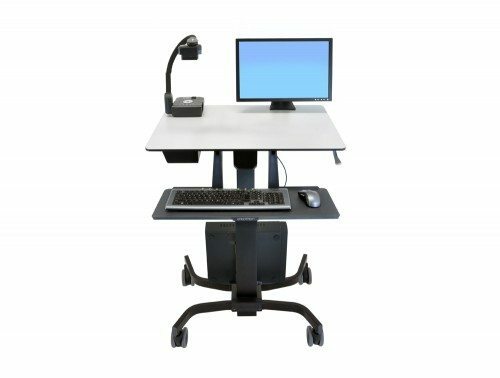 The desks adjust to your desired height through a two-button system. 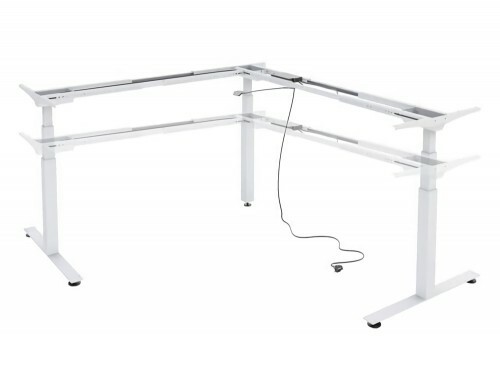 You can also purchase a desk with a memory master control unit or an anti-trap technology. 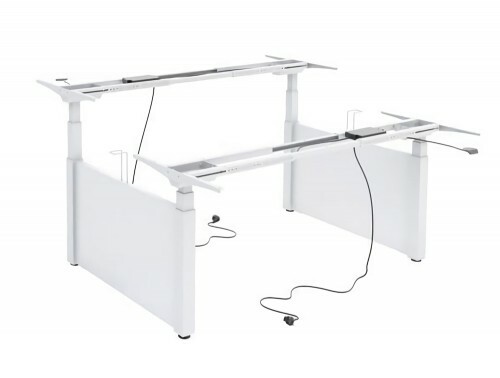 These desks stop and retract when encountering any obstruction. 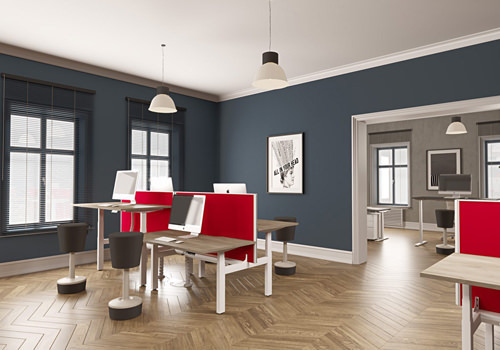 Their simple design makes them easily adaptable to any office aesthetic. 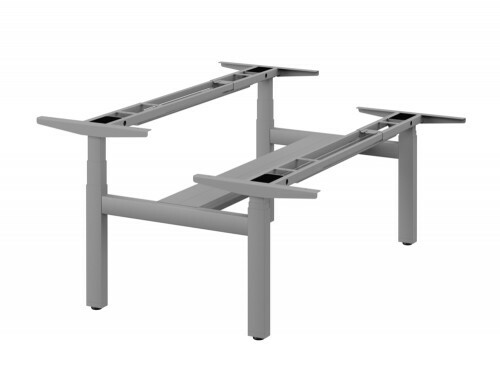 If you are furnishing a sizeable office and want a desk with a stylish finish, try our sit-stand executive desks. 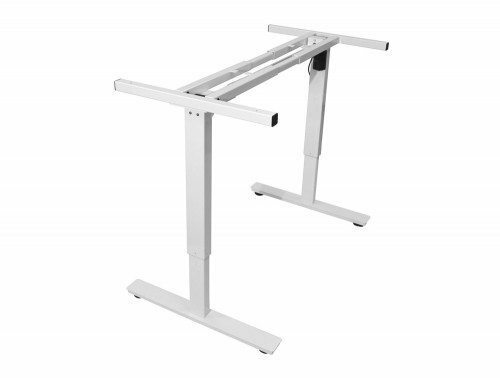 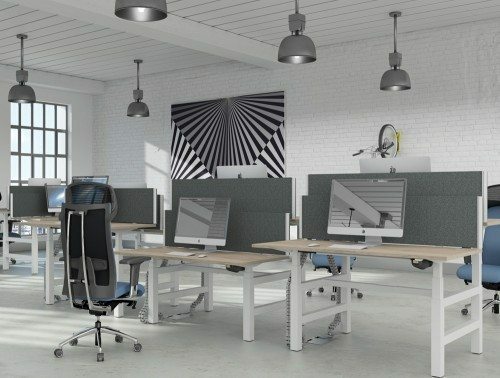 They come in the classic rectangular design of traditional office desks, but with the incorporated modern technology of adjustable workstations. 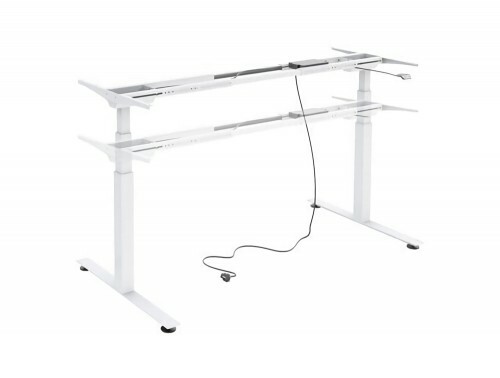 If you need a desk with considerable storage space, you can opt for adjustable height computer desks or manually expandable desk frames. 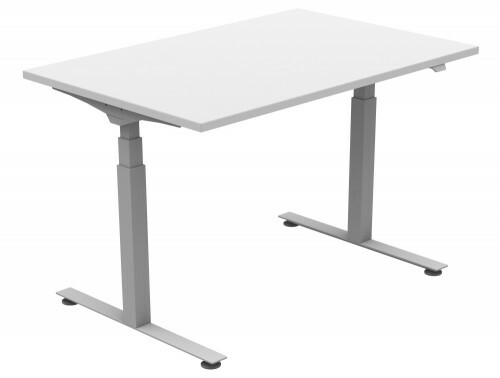 They offer a sizeable surface that fits a desktop within the size range of 1200 and 1800mm. 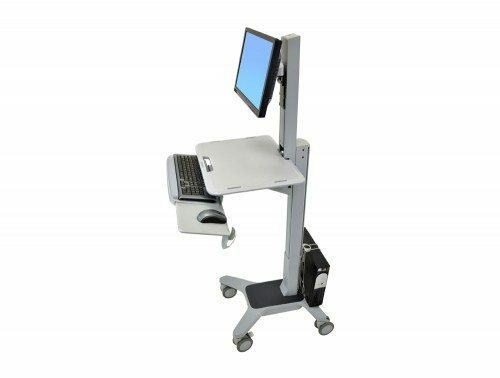 We also offer laptop carts for a smaller, more mobile alternative. 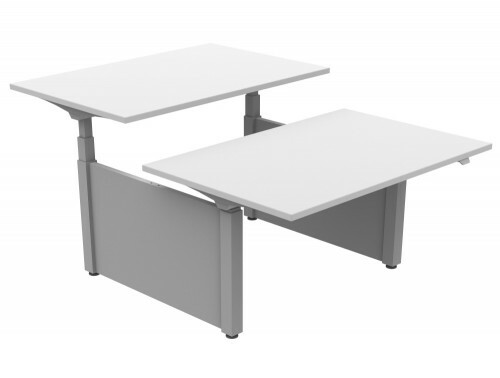 They’re perfect if you want to move them to different parts of the office for spontaneous collaboration sessions or meetings. 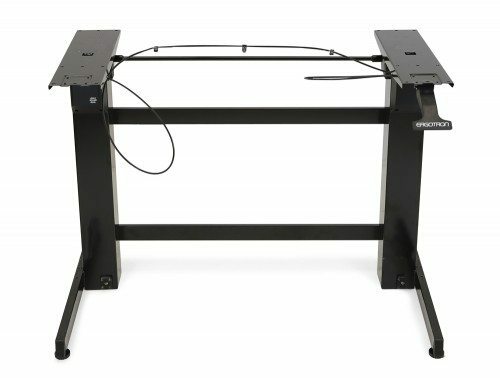 Keep your office tidy and organised by opting for an adjustable desk with included portholes or choose from our additional cable management systems, like cable spines, cable baskets and power modules. 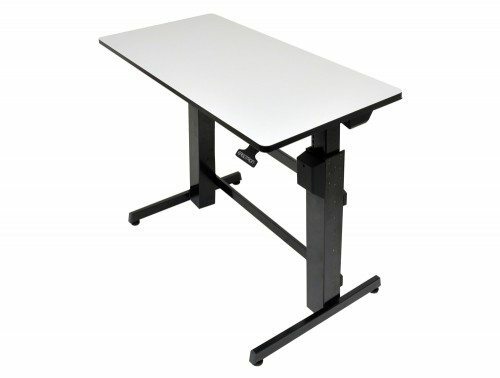 We deliver our height-adjustable desks to your premises in Ireland. 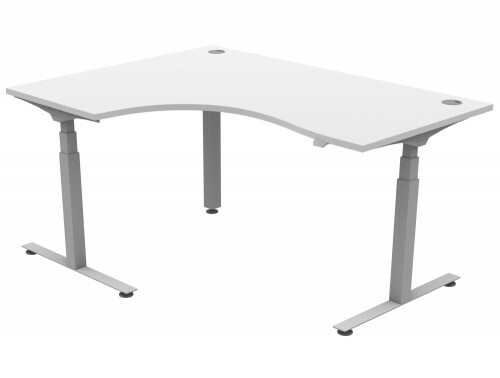 We have a wide range of office desk with adjustable height to suit your specific requirements. 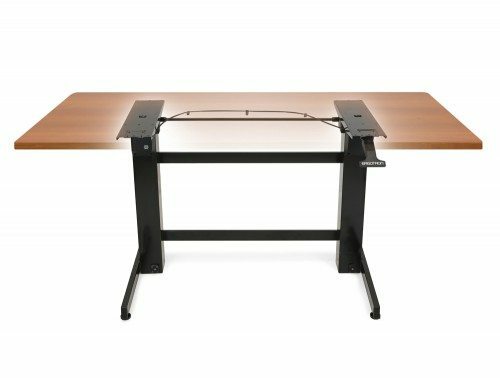 Whether you have a tight budget, or you’re looking for an office desk that makes a statement about your growing enterprise, we have the right office desk for you. 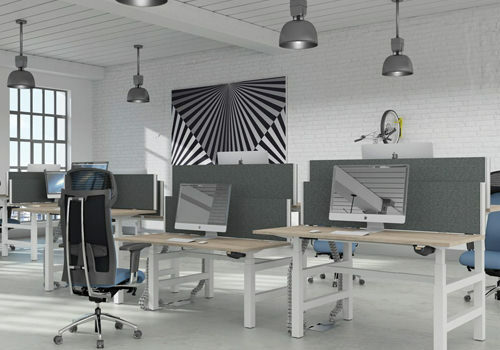 If you’d like to find out more about our range of Adjustable Desks or discuss your requirements, simply request a callback.